TULSA, Oklahoma (August 26, 2016) — Approximately 440 acres of land adjacent to Cross Timbers Marina and the Tall Chief Cove Recreation Area will be offered at auction September 27, with Schrader Real Estate and Auction Company conducting the event. 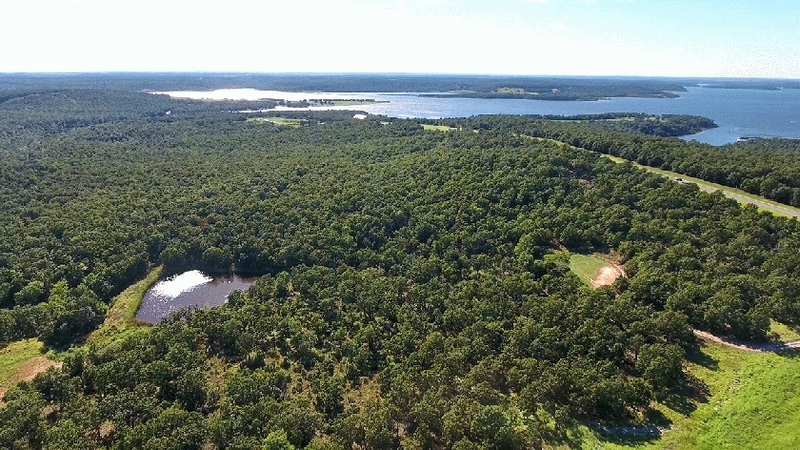 The land, much of which has views of Skiatook Lake, will be offered in 17 tracts ranging in size from three to 102 acres. Tracts will include areas with mature hardwoods, open meadows, ponds and creeks, according to Brent Wellings, who is managing the auction for Schrader. “The views on some of this land are simply incredible, with elevations of up to 950 feet overlooking the lake. There’s a lot of variation, and we’re offering it in tracts that enable bidders to purchase the land that best suits their needs. For example, those seeking to build homes may focus on the eight tracts along Tall Chief Cove Road, or the six tracts along Lake Road. Those looking for exceptional recreational land will be able to bid on three mostly wooded tracts that provide 243 contiguous acres,” said Wellings. “There’s a great deal of potential here for development as well as recreation. The views are simply incredible and rural water utilities are available to all the auction tracts,” he said. Auction personnel will be available at the property August 31, September 20 and September 26 to accommodate inspections and provide detailed information on the land. The auction will begin at 6:30 p.m. Tuesday, September 27, at The Springs Event Venue, adjacent to Tract 7. Online bidding will be available by prior arrangement. Individuals seeking additional information may visit www.schraderauction.com or call 877-747-0212.